Ayurveda is considered to be one of the oldest healing systems in the world. With conventional medicine failing to provide long term relief from many health ailments, the people have turned back to ancient wisdom in order to find effective solutions. Back Pain is a common ailment experienced by people today. Most people turn to Ayurveda in search of a cure that will provide long term relief without any side-effects. There are a wide variety of Ayurvedic Treatments that are recommended for people experiencing back pain. Before outlining the different types of Ayurvedic treatments recommended for Back Pain, it should be noted that Ayurveda is concerned with treating the root cause of the disease, not just the symptoms. Also as per Ayurvedic texts, all diseases are caused by dosha imbalance in the body. In this case also i.e. Back Pain, the ayurvedic treatments are concerned with restoring the balance of doshas in the body. Abhyanga – A powerful Ayurvedic massage regime and a potent healing tool in Ayurveda – Abhyanga is an Ayurvedic Massage Treatment in which medicated oils or ghee is applied onto the body & massaged into the skin. The medicated oils are chosen as per the body type of the individual undergoing the massage. Rejuvenating Treatments – The rejuvenating treatments offered here includes Kati (Back) Vasti, Shirodhara, Griva (Neck) Vasti, etc. In Kati Vasti, dough made typically from black gram flour is kept on the lower back region of the patient, & shaped into a vessel. Then medicated oil is poured into the vessel & allowed to stand for half an hour. After 30 minutes, the same oil is used to massage the affected parts. Griva (Neck) Vasti involves the same process except that the dough is placed on the upper back region. Shirodhara is another effective ayurvedic treatment that helps in rejuvenating the body and relieving stress. Enema is a potent ayurvedic treatment that is used to get rid of the toxins from the body. Yoga – As any health expert will tell you, Yoga is very effective for the body. If practiced regularly, it helps maintain the physical and mental well being of the body. Practicing Yoga regularly helps in strengthening the back muscles, thereby providing long term relief from back pain. Herbal Products- There is many herbs, which are effective in treating the pain, swelling, and degenerative changes of spine. 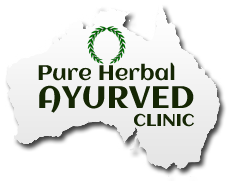 Ayurvedic Doctors decide formula for the client according to their Ayurvedic body type to get best possible results.